After five years of showing in New York, Spanish label Delpozo, known for its couture-like dresses, recently presented their latest collection at London Fashion Week. The move was aimed at activating the brand’s London boutique which opened last June on Sloane Street. Much of the collection was inspired by water lilies and lotus flowers found in an unpublished edition of National Geographic from the 1930s. 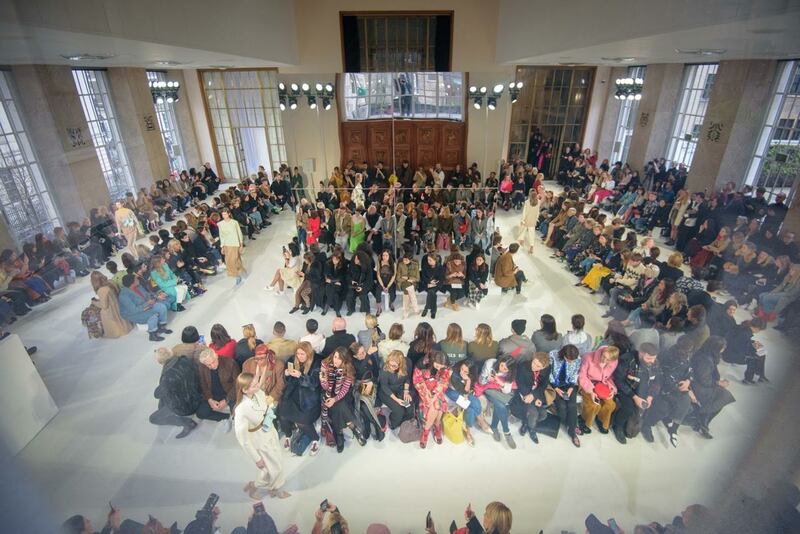 The show took place at The Royal Institute of British Architects, a reflection of Creative Director Josep Font’s architectural background and the influence this has on the clothing he displays on the catwalk. White Light was asked by Producers OBO London to team up with lighting designer Alexandre Lebrun from LightLab to create an unforgettable event. 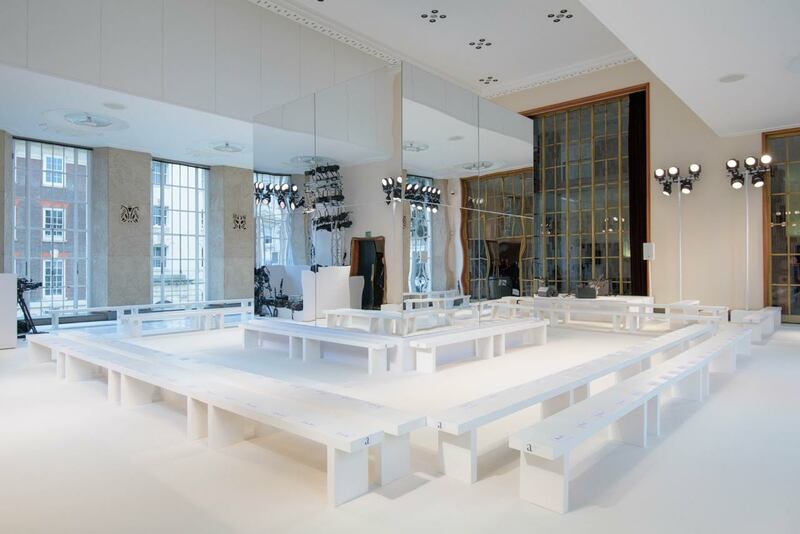 Based in London and Paris, LightLab regularly works with OBO during the London and Paris Fashion weeks. Aurélie Nedjar, Studio LightLab’s Producer, comments: “We are always happy to work with WL and have done so on several occasions now. It’s a pleasure to deal with the same committed team through different events and shows. They know how we work and have always been available, reactive and accommodating”. With over 20 years’ experience within the live event industry, LightLab pushed the boundaries of creativity and imagination in order to create a fully immersive experience on this event. The client wanted a daylight wash and discreet rigging to highlight the beauty of the space and avoid any reflections of scaffolding in a mirrored box which was placed in the centre of the space. A team of nine was headed-up by WL’s Senior Account Manager Dominic Yates and Senior Project Manager Martin Strods who turned the design concept into reality. This included bringing in a range of rigged lighting; anticipating any footprint, weight or rigging point problems within the space. Working in collaboration with Studio LightLab’s team, they successfully overcame any venue technical constraints whilst, at the same time, delivering the event on time and on budget. They also provided a state-of-the-art sound system to support the show. Aurélie comments: “Our excellent relationship with WL always allows us to make even the trickiest lighting concepts possible”. Photos courtesy of Ben Broomfield.